Hey everyone! Happy November…feels like I was just saying Happy October, right?! Since the end of September I hesitated forever in doing something festive. With 3 sisters and 1 brother it’s the hardest trying to get all of our schedules to match for a day of festivities! A few weeks into October a few of us went to a Cider Mill, and it just definitely wasn’t for the kiddos…so a few days later we went to a local farm where the kids could run around and we could snag a few photos! We have still yet to bring them to a hayride. It’s been so so chilly so it’s hard keeping Ivory outside for adventures. She just hit 2 months on Halloween…crazy. And the day before, I turned the big 2-5!!! So other than staying busy, I wanted to share with you all such an amazing experience I had on Wednesday night. 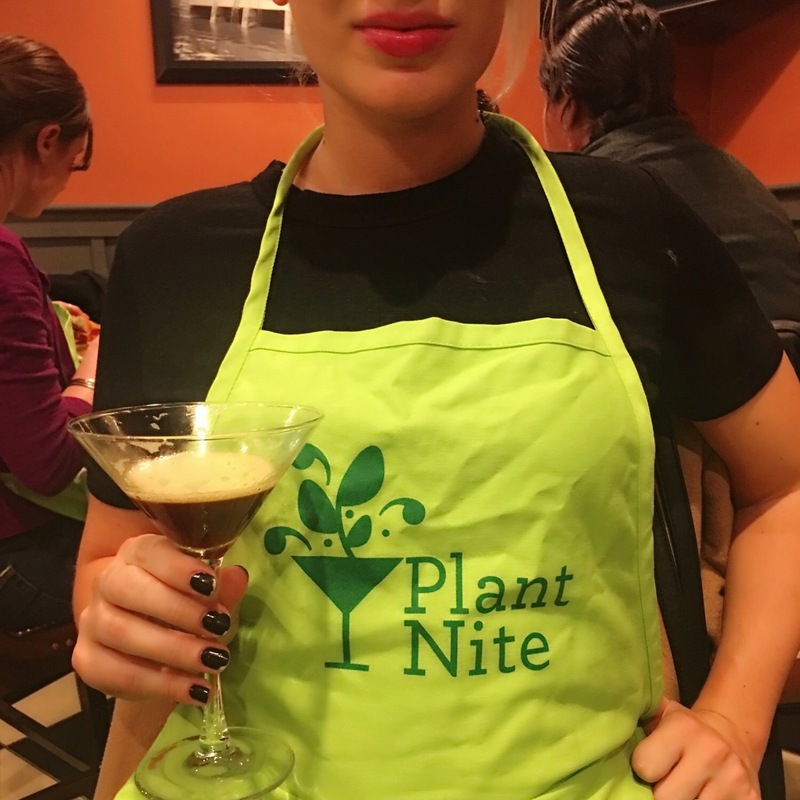 I was contacted to attend an event called “Plant Nite,” if you’ve heard of those parties where you get to drink wine while painting this is the same concept! If you love that, you’ll love this! (I’ve still never been wine-painting). 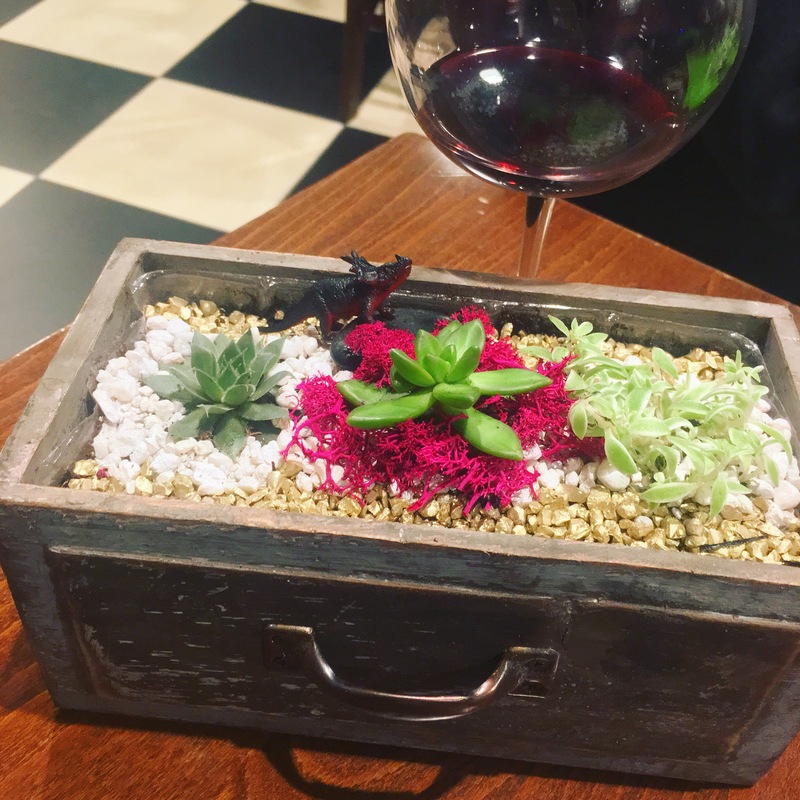 So Paint Nite is an organization where they host at a local restaurant and you can create an amazing terrarium! I was allowed to bring one guest, so I brought my sister Tara!! We had such a blast! Our Plant Nite was hosted at a restaurant right near our house called Providence Coal-fired Pizza! Great food, great drinks, and an amazing night! My creative and artistic ability was always in the retail/clothing/fashion end of things, never shined in the arts and crafts (although, don’t get me wrong I love doing it). I dedicated my Snapchat that night for the event and gave everyone a little peak on what Plant Nite was like for us! Also! Please check out their site to look for a Plant Nite event in your area ➡️ Find an event in your area!! I have some amazing discount codes so if you are looking for a fun night out and want to switch it up and make memories please feel free to shoot me an email @ 4o1fiercely@gmail.com ! They also host Paint Nite events as well (as I mentioned above), and I can give you $20 off your ticket! !